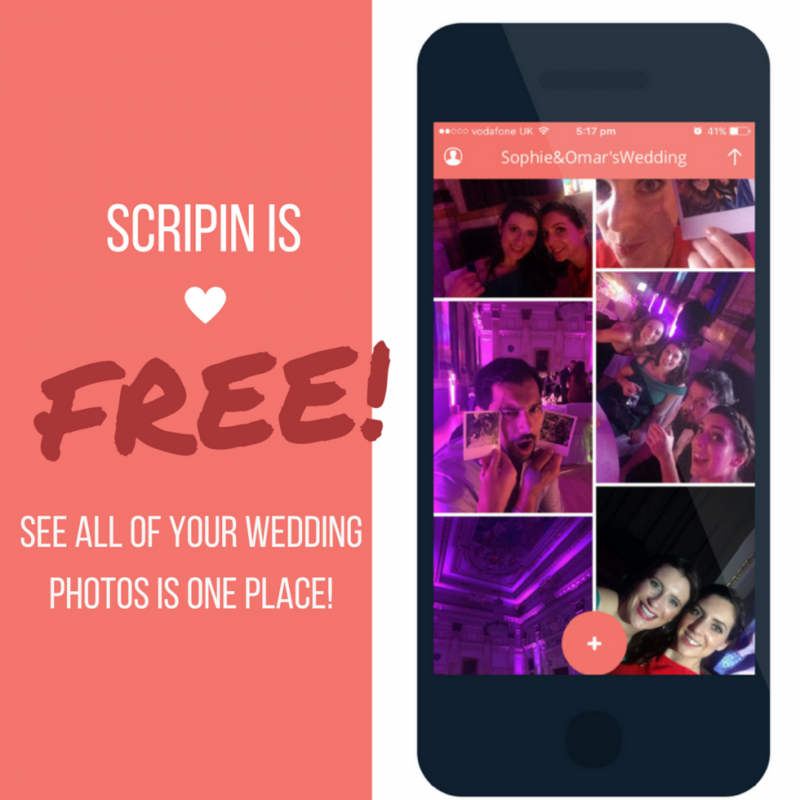 Scripin Weddings: The UK's Leading Photo & Video Sharing App for Weddings! 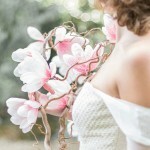 Home > Advice > Scripin Weddings: The UK’s Leading Photo & Video Sharing App for Weddings! You’re never going to be more photographed then on your wedding day. In fact, during the average wedding around 3000 photos are taken! That means that a photo is snapped by one of your guests every six seconds, and more if you have a big wedding! So how can you keep track of all those photographs? 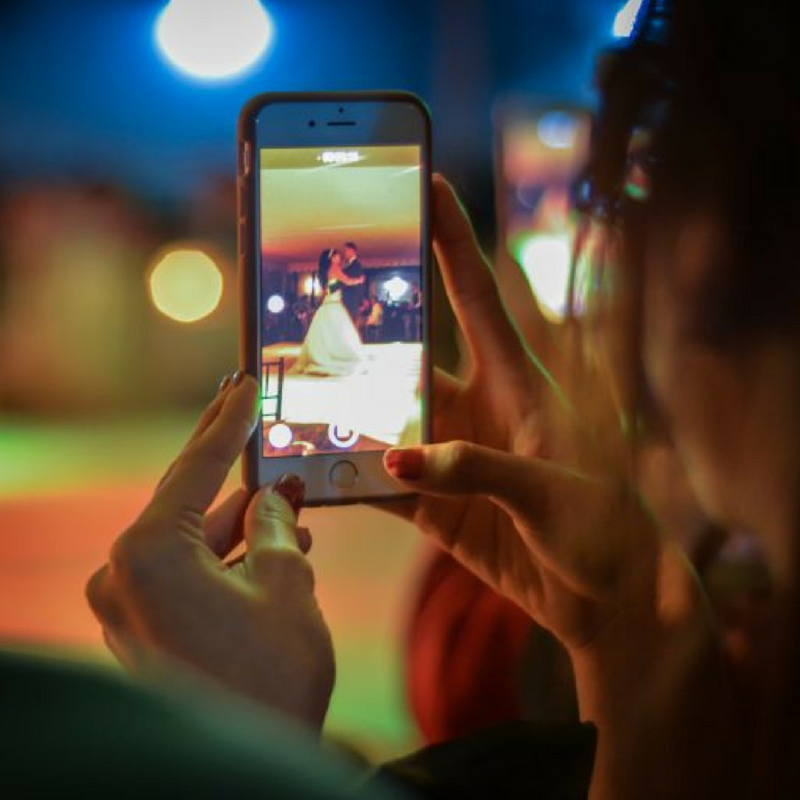 A wedding photo sharing app is the perfect way to keep track of all those candid photos and videos taken on your special day. 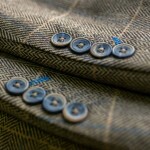 Scripin Weddings is the UK’s leading photo & video app for weddings. We offer a range of fun and useful features to make your wedding day even more memorable. You’ll see ALL the photos taken during your wedding. Social media explodes whenever a wedding takes place. 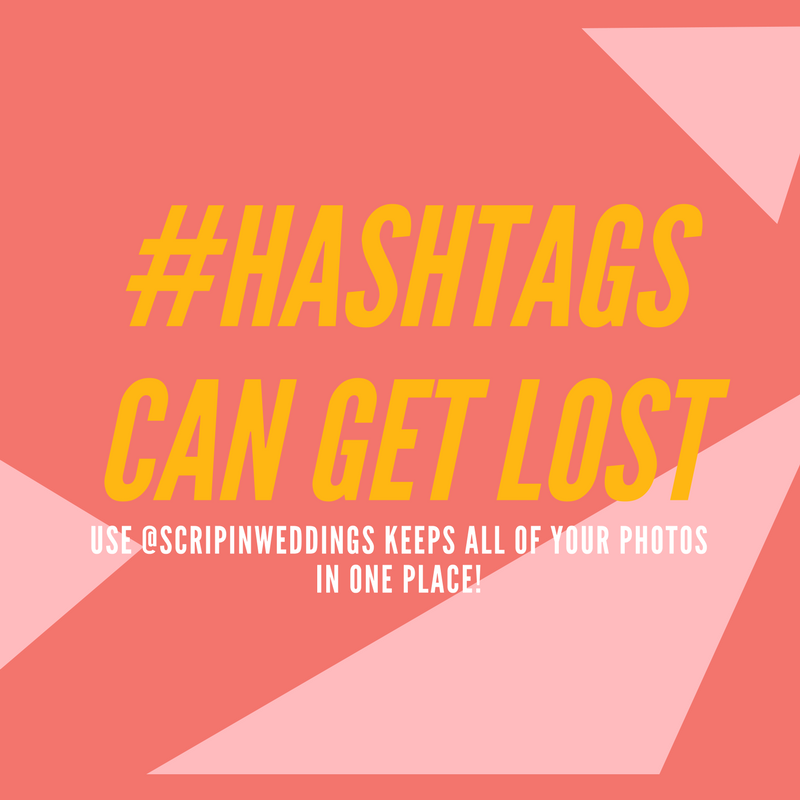 Wedding hashtags and social media albums have become more and more popular over the years. It’s great that your family and friends want to share your special day, but you might not want all their followers to see their snapshots of you. Scripin Weddings generates a unique event code for your wedding – and only people with this code can access and share photos. You can also control social media sharing if you’d rather keep your wedding offline. Photo keepsakes are a beautiful way to remember your special day. Scripin Weddings differs from other wedding photo sharing app as we offer a range of professional-quality printed products – and we don’t compress your images either. Prints, canvases, photobooks and more are available to order. 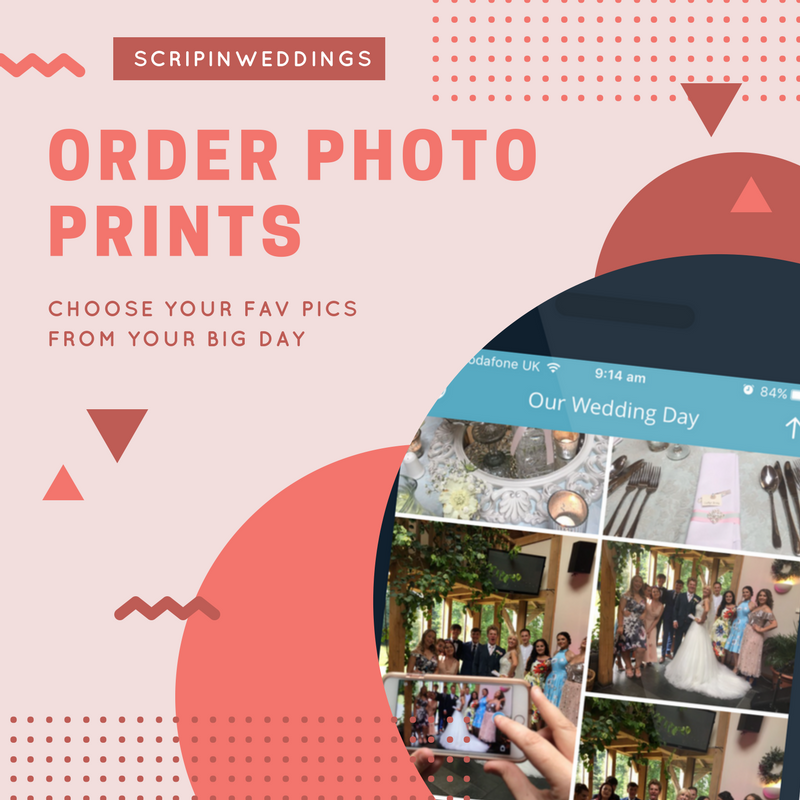 It’s super easy to order straight from the Scripin Weddings app, and your guests can also order products featuring their favourite photos from your wedding day. 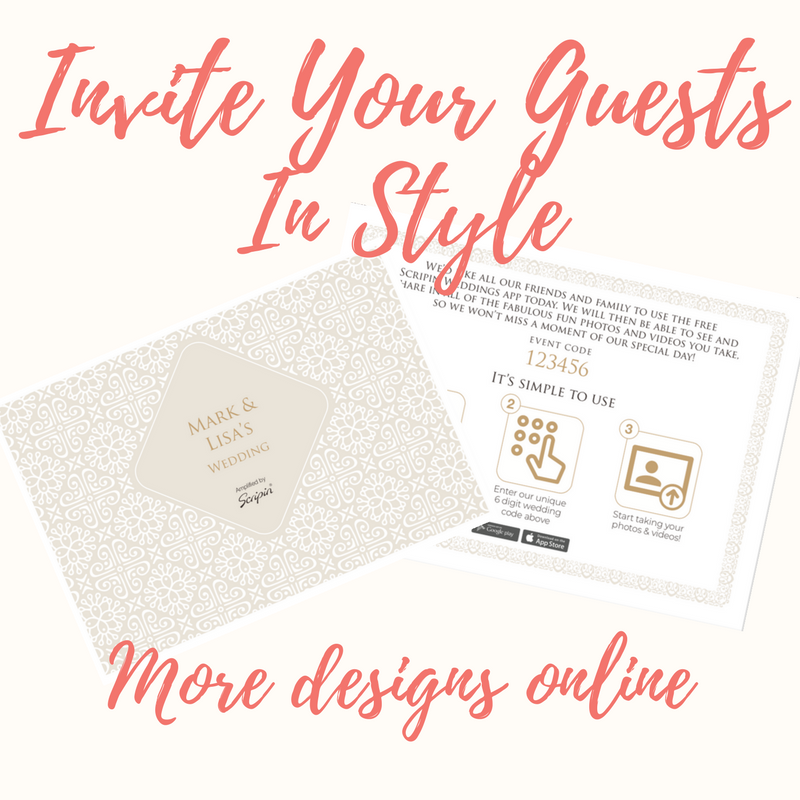 When you create your app with Scripin Weddings we offer invitational inserts and table cards for you to share instructions on how to use the app with your guests. These come in a variety of designs and colours, and are personalized with your event code and event name – to help ensure your guests get snapping away! 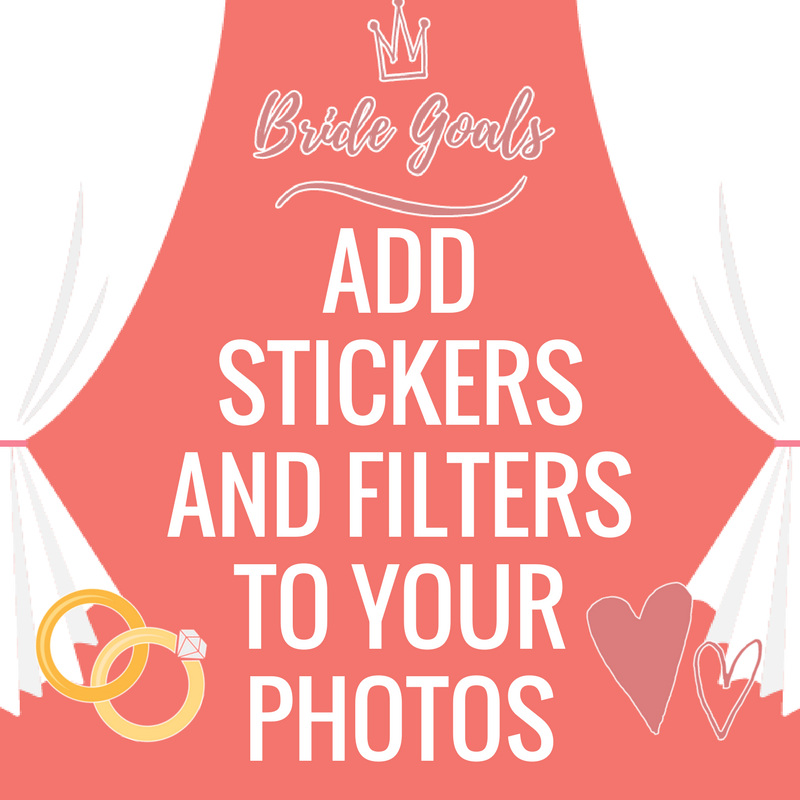 Scripin Weddings lets you add filters and stickers to your images, giving a whole new layer of personalisation. Your guests will enjoy the added entertainment from creating their own fun images!